Orthoclase is a rare gemstone that belongs to the feldspar group, which also includes moonstone, amazonite, spectrolite and labradorite. Therefore, orthoclase is sometimes also called "K-spar". Orthoclase gemstones are typically champagne yellow, golden yellow or greenish, though they can be other colors. The name, "orthoclase" is a Greek word meaning "straight fracture", which refers to the cleavage planes of orthoclase being at right angles to each other. Orthoclase is faceted into attractive gemstones and also has an industrial use as a scouring agent in the making of some glasses and ceramics. Orthoclase is difficult to identify from other gemstones by appearance alone. It can be distinguished from similar gemstones by its hardness, low birefringence, colors and perfect cleavage. Orthoclase is found in Madagascar, Burma (Myanmar) and Kenya. Orthoclase is often colorless or champagne-colored, but it can also be pink, green, orange or bluish. Gem quality materials are typically champagne, golden yellow or greenish. Orthoclase is opaque to transparent and good quality specimens are eye clean. It has a vitreous luster. Materials that display opalescence are classed as moonstone. Transparent materials are faceted and opaque materials are usually cut en cabochon. Orthoclase is not currently known to be treated or enhanced in any way. Orthoclase is related to the other feldspars, such as moonstone, amazonite, spectrolite and labradorite. It can also appear similar to citrine quartz, precious beryl, prehnite, topaz and zircon. Orthoclase is said to have a soothing effect on its wearer. It is sometimes referred to as the "stone of cooperative effort" because it is thought to encourage cooperation and good group dynamics. According to traditional Hindu beliefs, orthoclase benefits the "Manipura" or solar plexus chakra. This chakra is associated with the color yellow, self-confidence, positive will, productivity, genuine laughter and warmth. Physically, orthoclase is believed to protect internal organs, strengthen bones and boost energy. Faceted orthoclase gemstones make stunning pendants, rings and earrings. When set in gold, the yellow tones of orthoclase are showcased. Silver settings are also suitable. Clear gemstones such as white sapphire compliment orthoclase well. Orthoclase possesses perfect cleavage, which means gemstones can be split with a single blow, much like topaz. Therefore, extra care should be taken when setting, repolishing or recutting orthoclase. For rings that are worn every day, pronged settings are not recommended, however, for occasional-wear rings, pendants and earrings, pronged settings are fine. 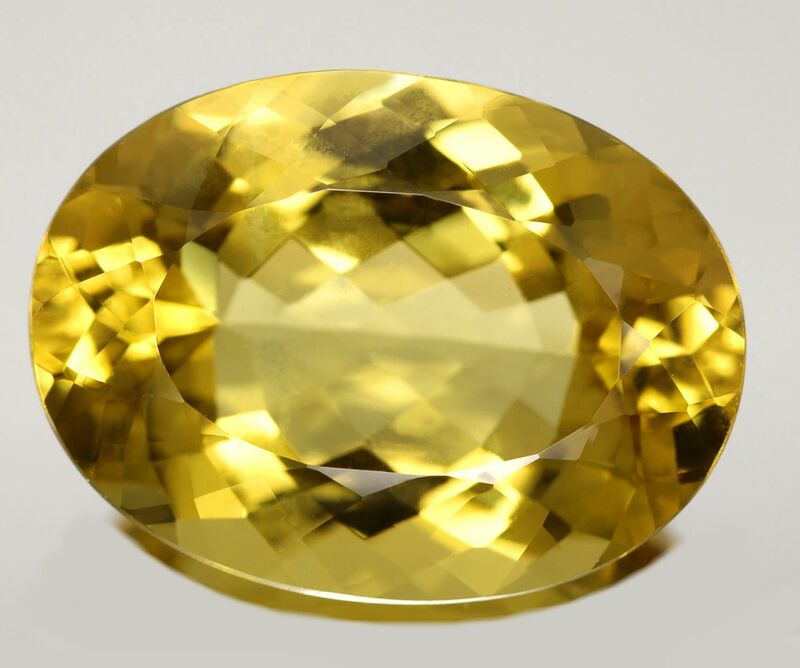 Orthoclase gemstones have not attained world-fame, but a rare 250 carat yellow faceted orthoclase gemstone from Madagascar is displayed at the Smithsonian National Museum of Natural History in Washington D.C., USA. In order to keep orthoclase gemstones in good condition, some care is necessary. A large component of ordinary dust is quartz, with a hardness of 7 on the Mohs scale. Since orthoclase has a hardness of 6 to 6.5, simply wiping the dust off an orthoclase gemstone can gradually reduce its polish. The solution is to clean your orthoclase gemstones using a soft cloth and only mild soap or detergent if needed. Do not use harsh chemical or cleaners and avoid ultrasonic cleaners and steamers. Always remove orthoclase jewelry before engaging in vigorous physical activity. Store orthoclase away from other gemstones to avoid scratches. It is best to wrap gemstones in soft cloth or place them inside a fabric-lined jewelry box.